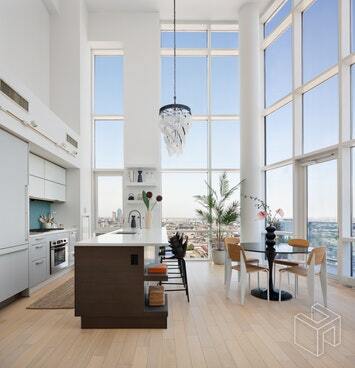 Welcome to Penthouse 3E at The Edge, a spectacular oasis in the sky. Forget million dollar views; this home boasts MULTI-MILLION dollar views from every room! 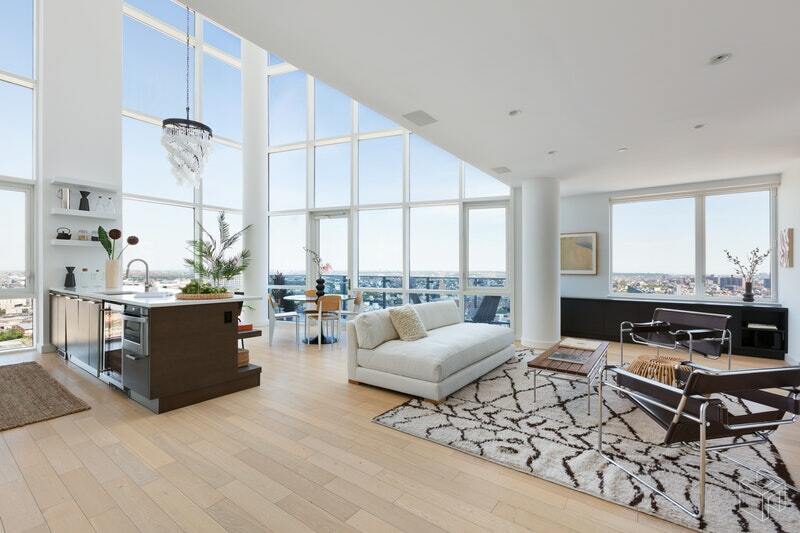 Enjoy luxury living at its finest with the most expansive and impressive views of Brooklyn imaginable from the spectacular double height living room and kitchen area. 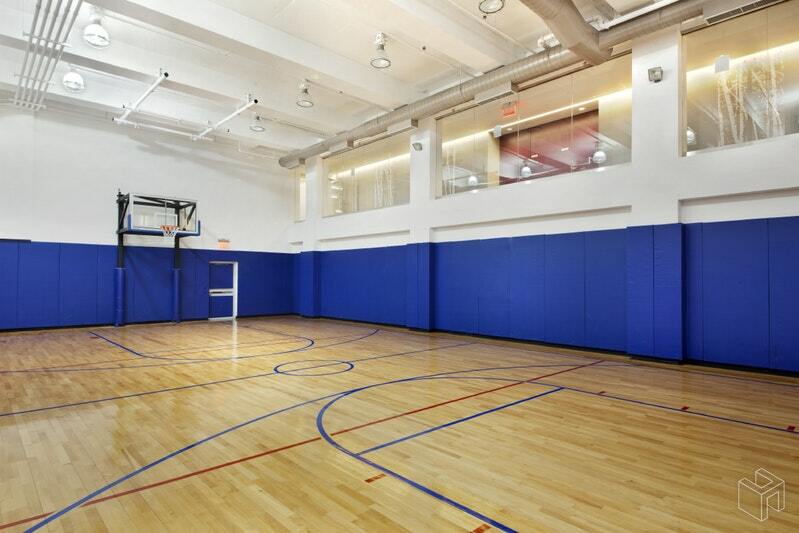 This rare open space is ideal for entertaining and luxury living. 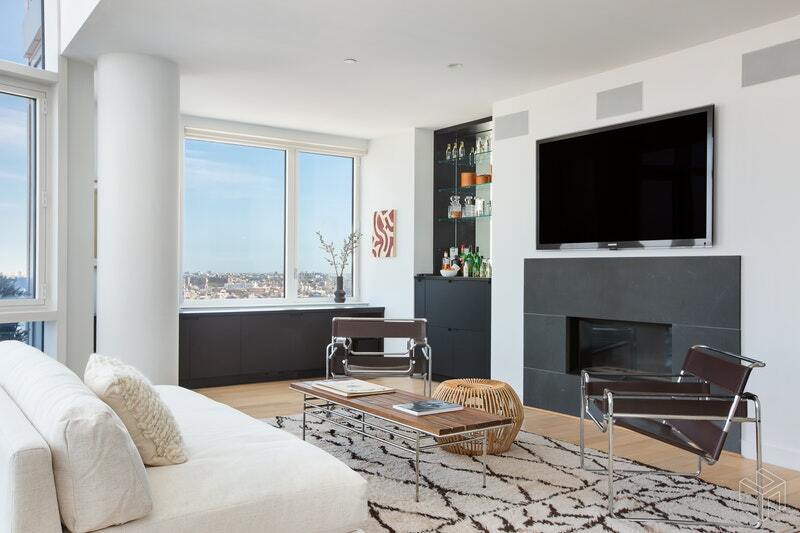 The 1,987 square foot home offers three bedrooms and three bathrooms as well as a beautifully landscaped and customized 714 square foot private rooftop terrace. 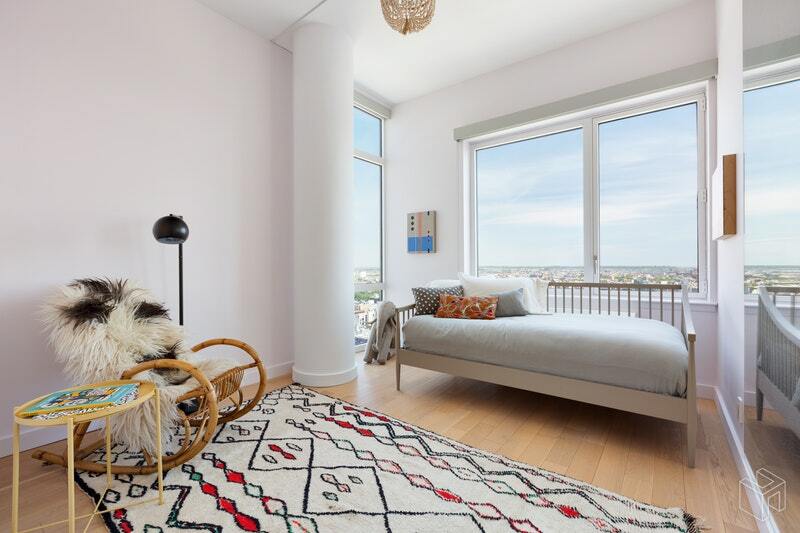 Perched atop the South Tower of the Edge, this incredible apartment is truly a one-of-a-kind boasting a fully outfitted private rooftop terrace with a full outdoor kitchen, and dining and seating area with planters. 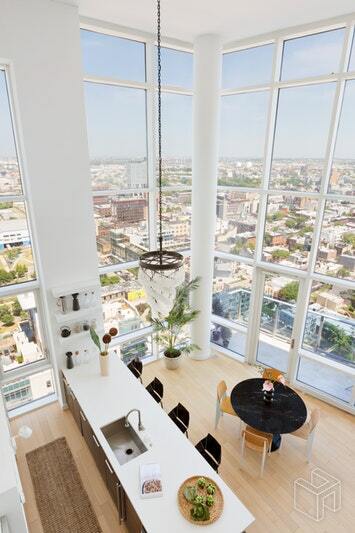 The Edge is arguably the best and most desirable building in Williamsburg and all of Brooklyn. 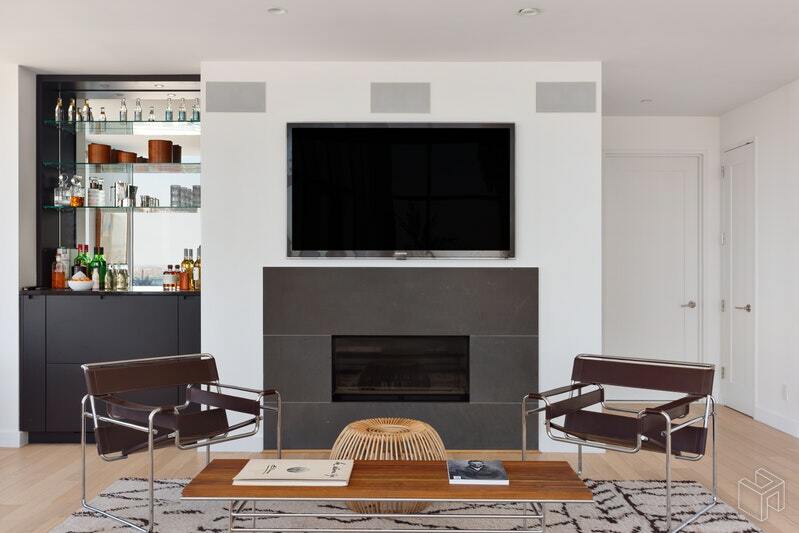 In the open living and dining area, comfort meets luxury with a slate modern gas fireplace, a wonderful centerpiece that will keep you cozy and warm during the cooler months of the year. This home boasts custom built-ins everywhere, including a bar area next to the fireplace. Enjoy your morning coffee or evening cocktails out on the large balcony off the kitchen and dining room. 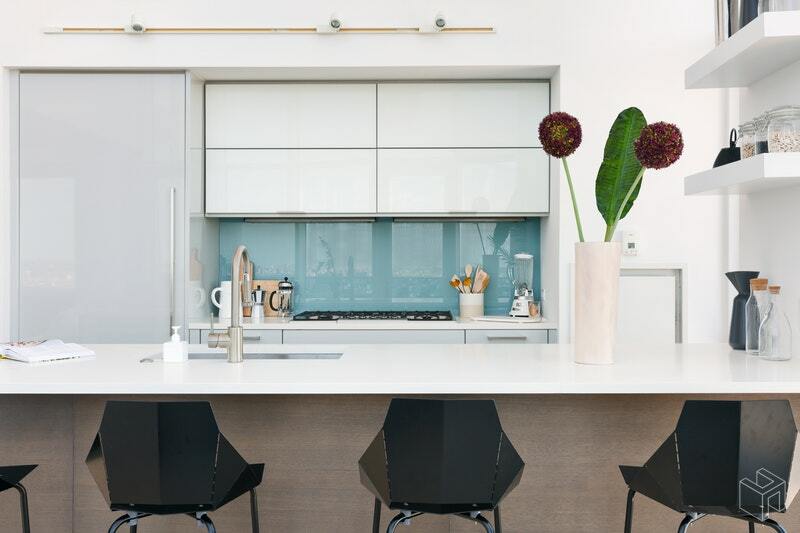 Additional highlights include a true chef's gourmet kitchen with customized cabinetry for ample storage, Quartz countertops, stainless steel farm-sink, and Bosch and Miele appliances and a wine fridge. 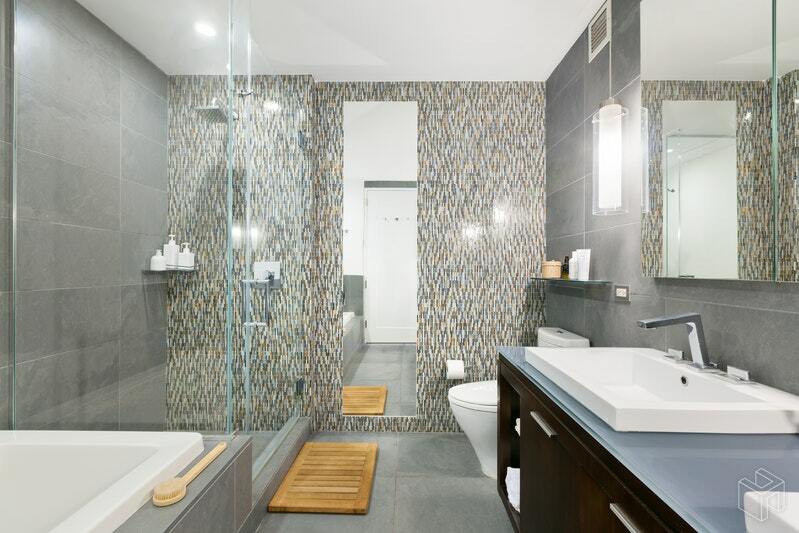 The second floor offers a large master suite and a gracious second bedroom with an in-suite bathroom. Both bedrooms offer customized closets. 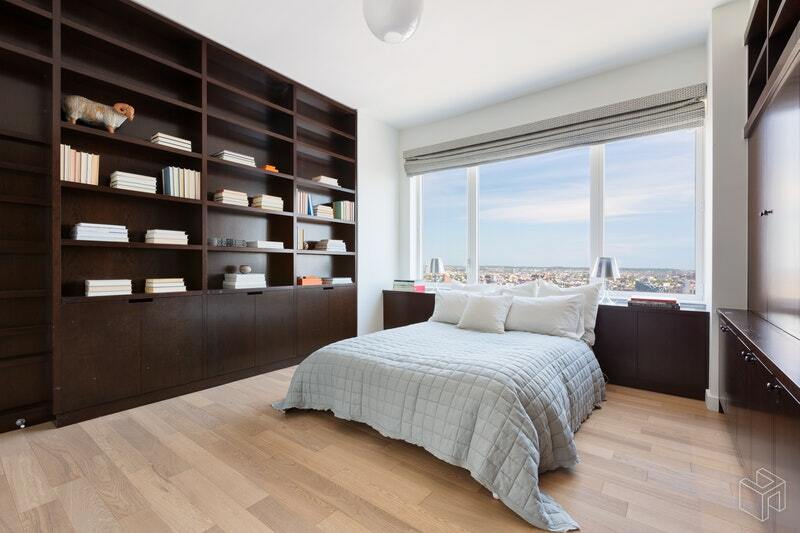 The third bedroom, located on the first floor, is perfect for guests as an additional bedroom, or as a library/den or home office. 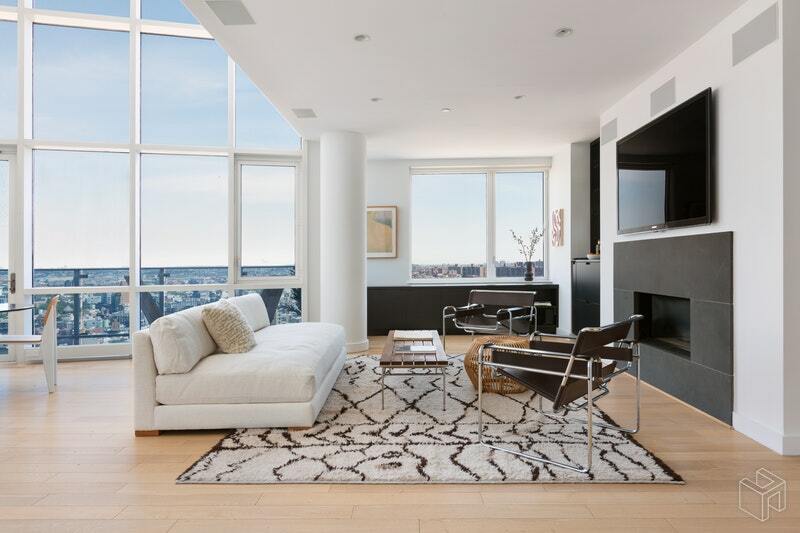 The third floor of this home captures incredible Brooklyn and Manhattan views off the rooftop terrace. 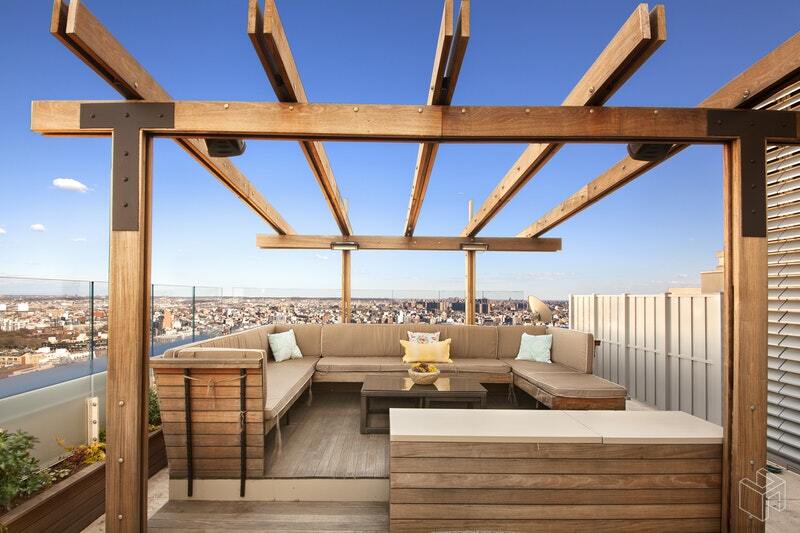 The luxuriously landscaped private rooftop terrace is customized with ample seating, heaters and a retractable 50 inch flat screen TV; all of which is protected under a stunning pergola. 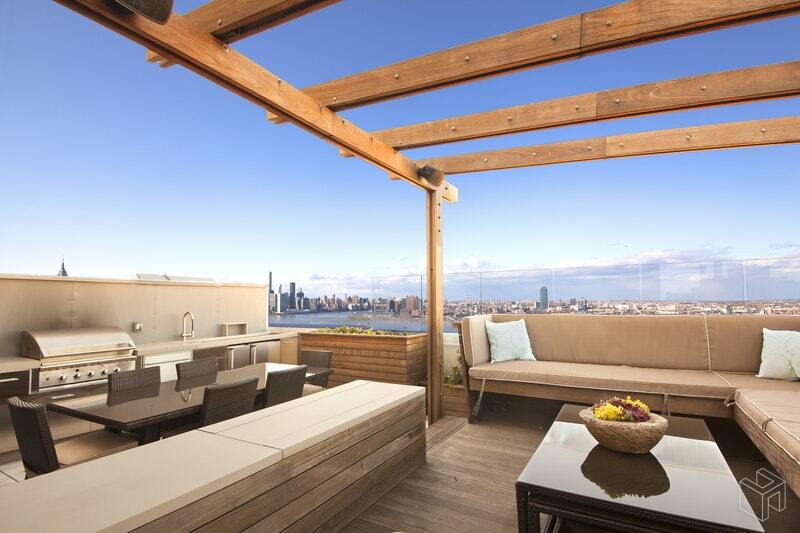 The rooftop is perfect for entertaining with a full dining area and chef's kitchen with storage. If needed, a storage unit is also for sale for an additional $25,000. 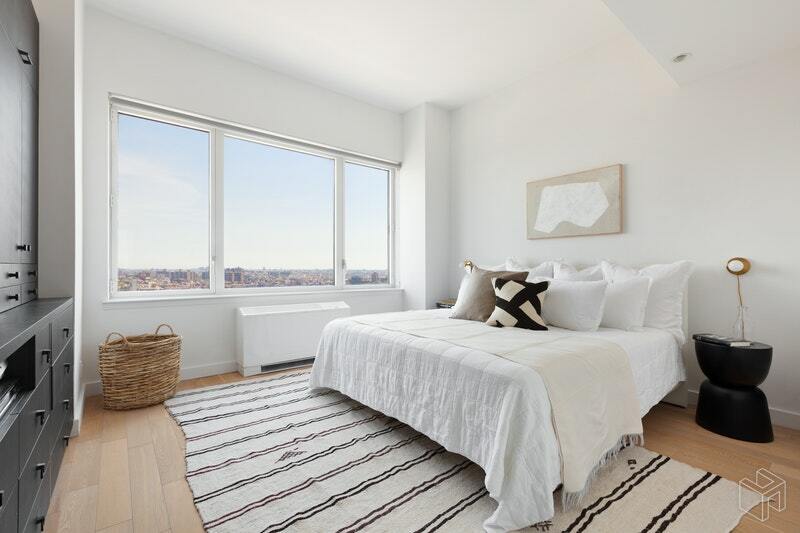 With over 17 years remaining on the 421a tax abatement and low common charges, The Edge is the preeminent luxury condominium in Williamsburg and the largest building in NYC to obtain LEED Gold certification. 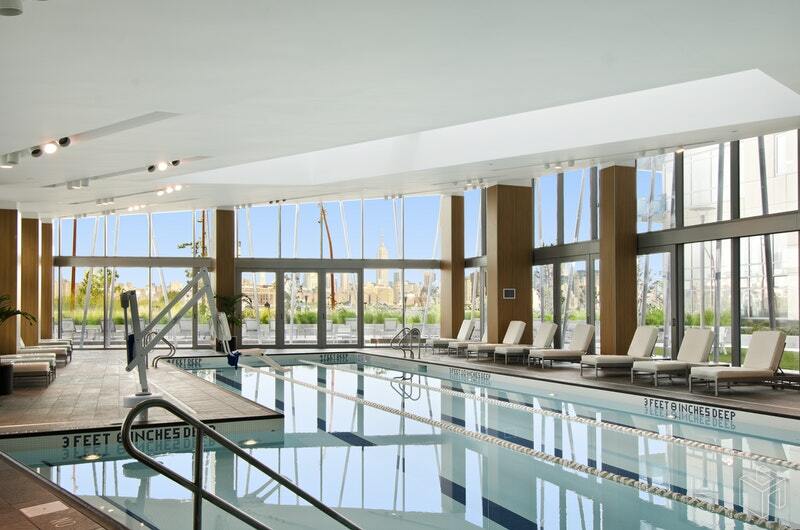 Featuring one of the best amenities packages in all of NYC, The Edge offers an indoor pool, steam room and sauna, two fitness centers, a full size indoor basketball court, yoga & dance studio, virtual golf, 24 hour doorman and staff, children's playroom, movie screening rooms, lounges, a parking garage, and more. 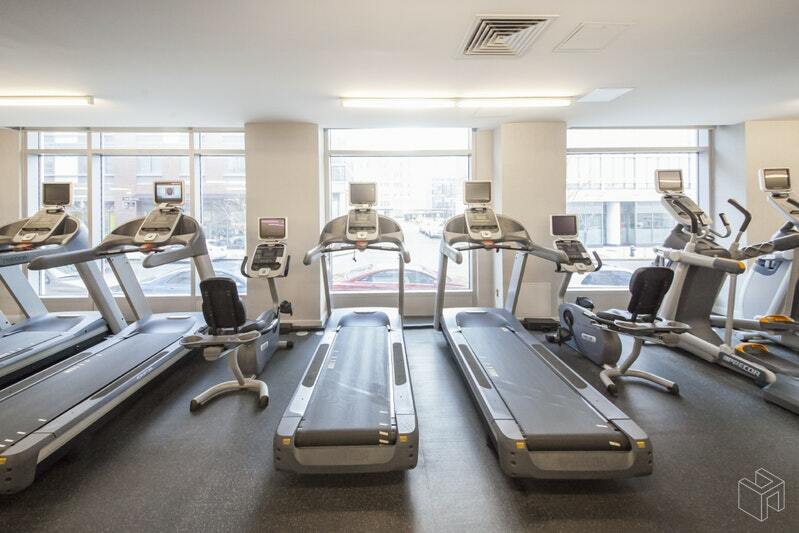 The Edge is perfectly situated on the waterfront with the East River State Park next door and the promenade and pier out front. 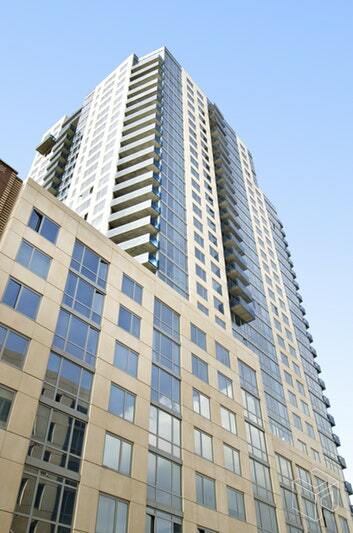 The location offers breathtaking skyline views and sunsets. You are steps from the restaurants, bars, and shopping that have made Williamsburg one of the hottest neighborhoods globally. For transportation, enjoy a short walk to the L-train at Bedford Avenue or a relaxing ride to Midtown or Downtown on the Ferry.